An Anchor Trust care home placed in Special Measures just over two years ago has been rated Outstanding by the CQC. Mill View in Bradford became Anchor’s fifth Outstanding service following an inspection in April. The service, which can accommodate up to 50 people, was rated Requires Improvement on its last inspection in November 2016, following the installation of current manager, Tee Tatum. Since then Tee has taken the home, which recently featured on BBC One’s The One Show, on a remarkable journey, culminating in the CQC’s ultimate accolade. Tee said: “We are proud of the care we provide. Our journey has been challenging but we have achieved everything together: the team, families, residents and the community. 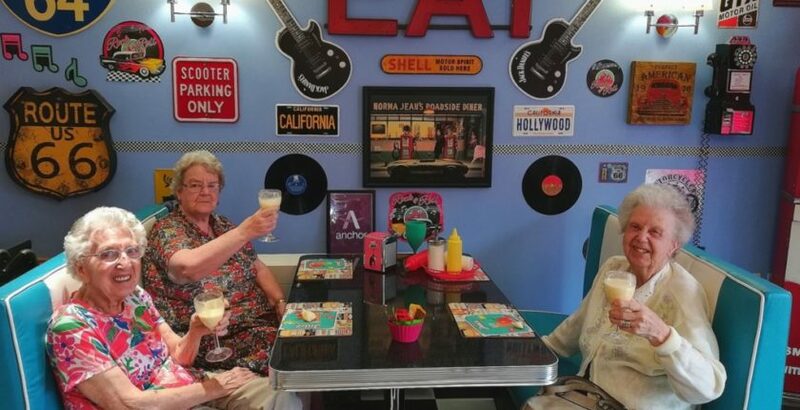 Changes at the home led by Tee have included creating a 1950s diner, pub, hair salon, local shop, cinema room and a landscaped garden for the residents and their families to enjoy. Tee said constantly involving residents in the running of the home had been key to its success. Debbie Westhead, Deputy Chief Inspector of Adult Social Care, described Mill View as a “fantastic story of improvement”. “After initially having concerns and later entering the service into special measures, we returned and found improvements and now find an Outstanding service,” Debbie added.